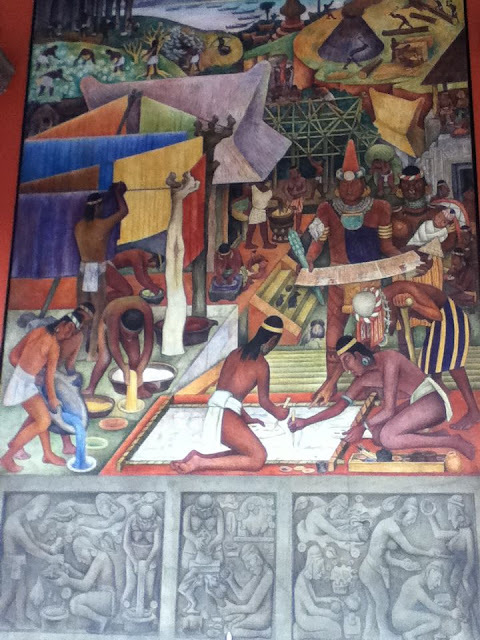 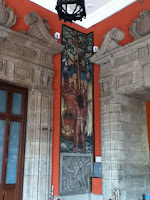 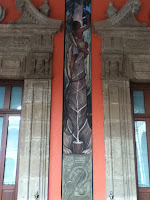 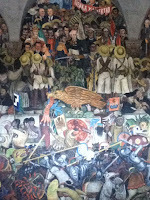 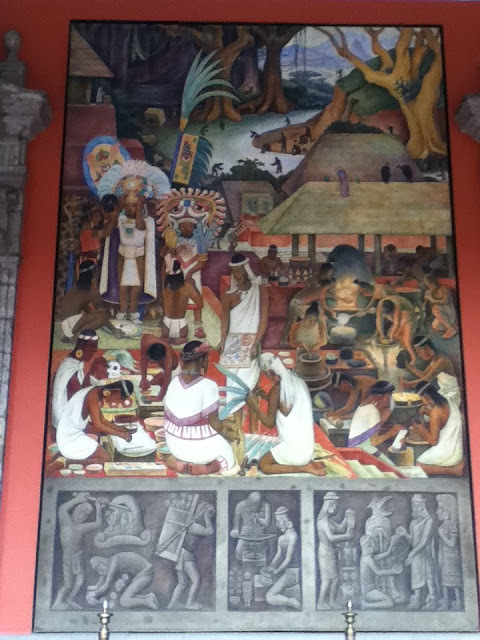 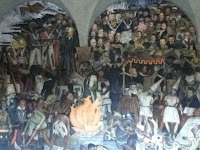 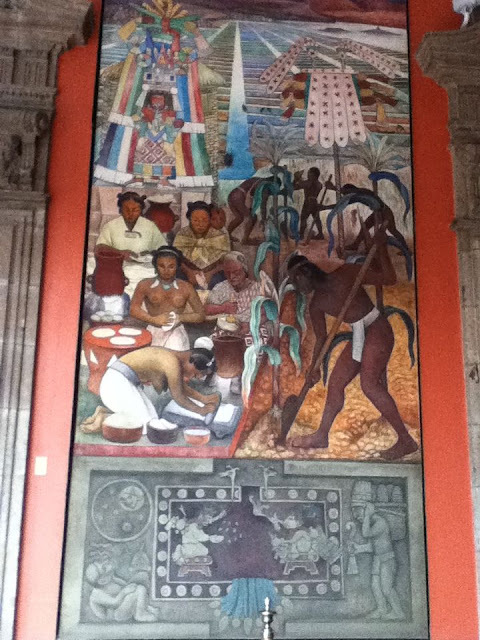 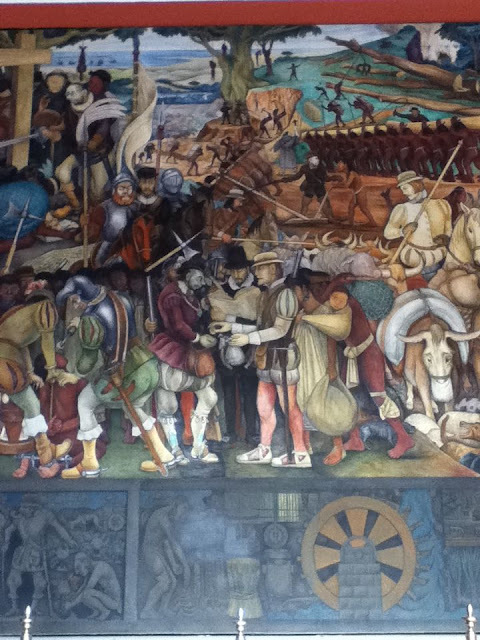 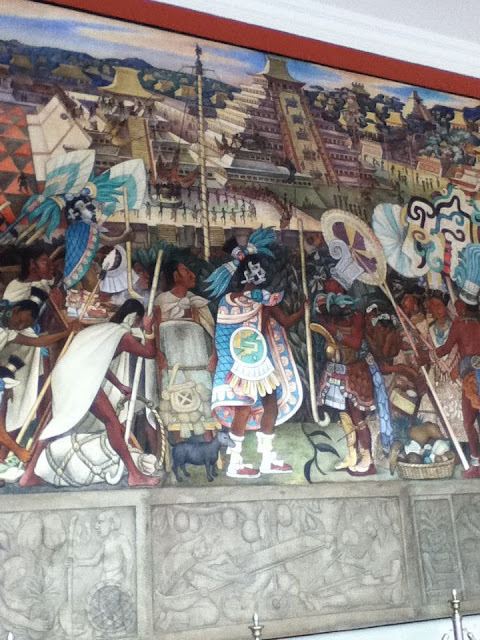 and saw the diego rivera murals. 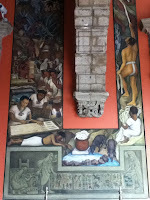 and are distracted by the surprise mc escher exhibit. 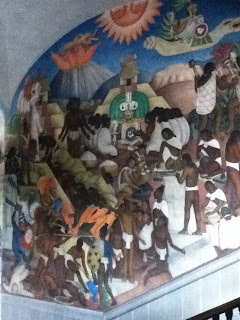 by the time we are done at munal it is 4 pm. 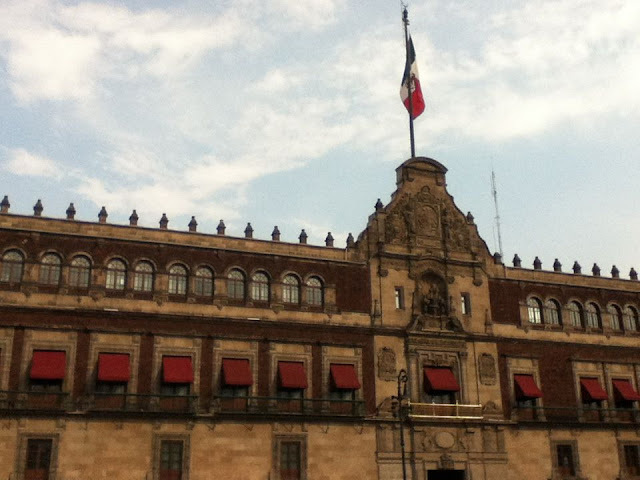 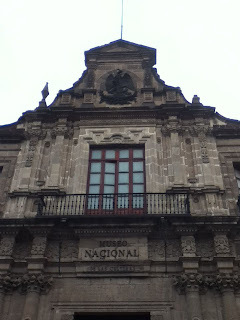 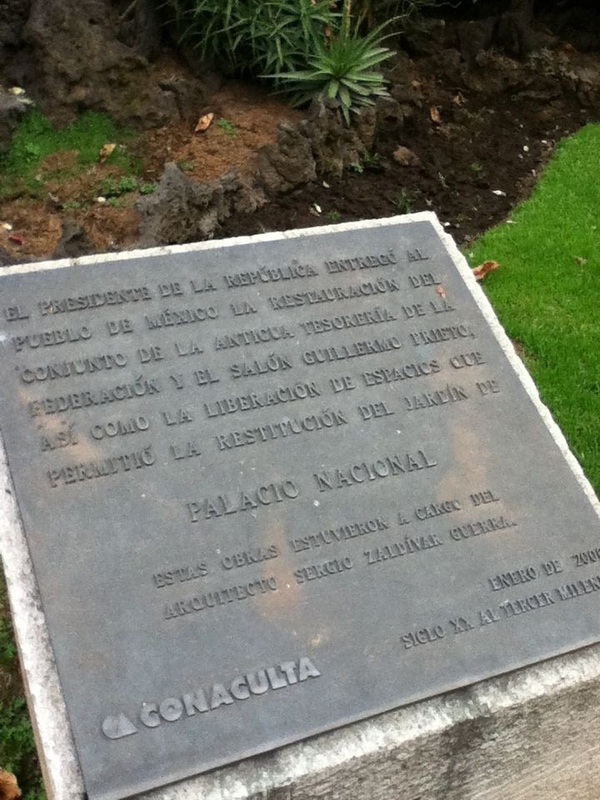 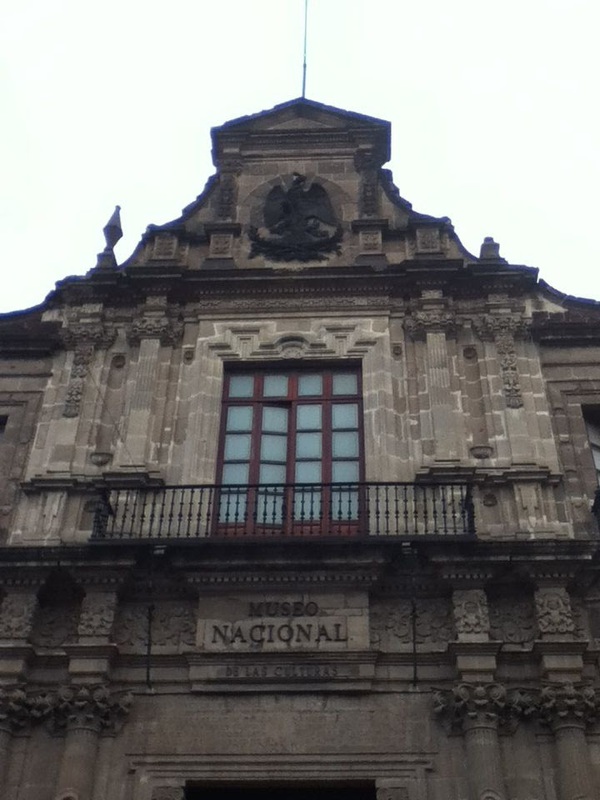 palacio nacional closes at 5 pm. and get distracted by food. 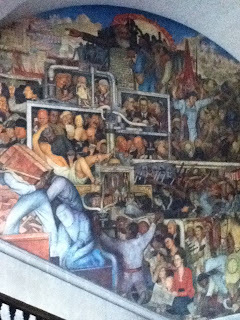 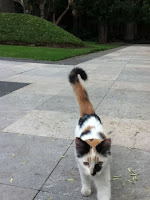 because he is not a diego rivera fan. 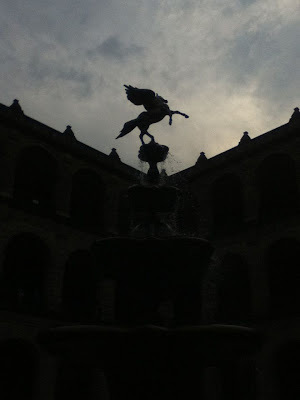 so we got there at 430 pm. 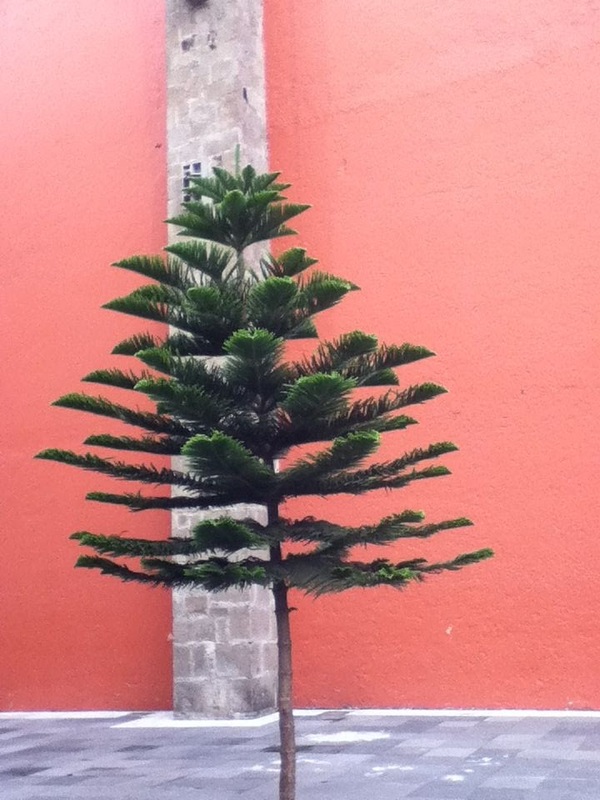 behind some daft, hippy white girls. 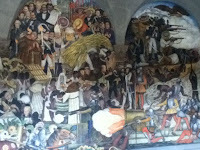 the big super famous mural was awesome. 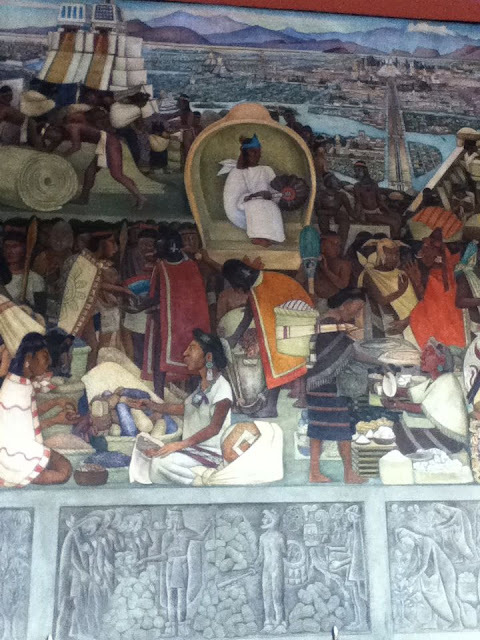 were of the prehispanic people.